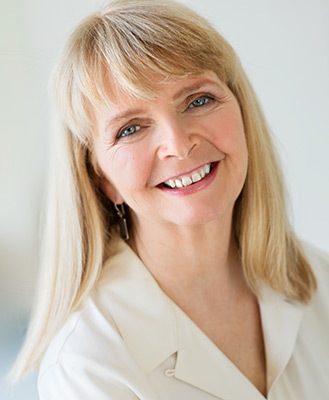 Carolyn McManus is a highly skilled clinician, researcher and professional trainer. She is a national leader in the integration of mindfulness into physical therapy and healthcare. Carolyn is President of the American Physical Therapy Association’s Academy of Orthopaedic Physical Therapy Pain Special Interest Group. She holds Master’s degrees in physical therapy from Duke University and in psychology from Antioch University. In 1998, she joined the Outpatient Rehabilitation Department at Swedish Medical Center in Seattle, where she established their popular Mindfulness-Based Stress Reduction (MBSR) program for people with persistent pain and stress-related illness. She has over 30 years of experience in the practice of mindfulness meditation and has completed an advanced MBSR Teacher Training Program offered at the University of Massachusetts Center for Mindfulness. In 2009, Carolyn and David Kearney, MD developed and conducted a pilot study examining a 12-week course in Kindness Meditation for veterans at the VA Puget Sound Healthcare System in Seattle. She continues to serve on Dr. Kearney’s research team, providing MBSR courses in research exploring the effects of mindfulness training in veterans with a wide range of health concerns. Carolyn is interested in sharing her training and experience with other professionals and is a regular presenter at state, national and international conferences. She provides continuing education courses throughout the United States and is an instructor for Herman and Wallace, offering courses on Mindfulness for Rehabilitation Professionals and Mindfulness-Based Pain Treatment to healthcare providers. Carolyn is a member of the the American Physical Therapy Association and President of the APTA Orthopedic Section Pain Special Interest Group. She is also a member of the International Association for the Study of Pain. McManus C. Chronic Stress, Chronic Pain and the Corticolimbic System. Orthopedic Physical Therapy Practice. 2019;31(1):50-53. McManus C. Mindful awareness training: A promising treatment approach for persistent pain. The Pain Practitioner, publication of the Academy of Integrative Pain Management. 2017; January/February:20-22. Wojciechowski M. Mindfulness: How it can help patients, PTs and students. PT in Motion. 2017;9(1):24-32. Carolyn is interviewed on her integration of mindfulness into her PT practice in this publication of the American Physical Therapy Association. Cherkin DC, Sherman KJ, Balderson BH, et al. Effect of mindfulness-based stress reduction vs cognitive behavioral therapy or usual care on back pain and functional limitations in adults with chronic low back pain: A randomized clinical trial. JAMA. 2016;315(12):1240-9. Although Carolyn is not an author of this article, she served as an instructor for study participants enrolled in MBSR. McManus C. (2016). Mindfulness-based Interventions. In Thompson & Brooks (Eds. ), Integrative Pain Management (pp. 219-232). Edinburgh, Scotland: Handspring Publishers Ltd.
Russek L, McManus C. A practical guide to integrating behavioral and psychologically informed approaches into physical therapist management of patients with chronic pain. Orthopedic Physical Therapy Practice. Jan 2015;27(1):9-16. Kearney DJ, McManus C, Malte CA, et al. Loving-Kindness Meditation and the Broaden-and-Build Theory of Positive Emotions Among Veterans With Posttraumatic Stress Disorder. Med Care. 2014;52 Suppl 5:S32-8. Kearney DJ, Malte C, McManus C, et al. Loving Kindness Meditation for Posttraumatic stress disorder: A pilot study. J Trauma Stress. 2013:26(4):426-34. McManus, C. Stress-induced Hyperalgesia: Clinical Implications for the Physical Therapist. Orthopedic Physical Therapy Practice. 2012;24(3): 165-168.